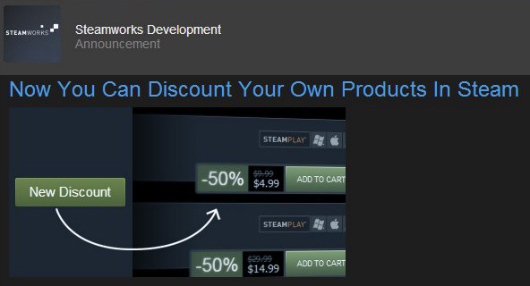 “With new Steamworks tools, you can configure your own discounts for custom sale periods or opt in to take part in upcoming weeklong sales. Once configured, the discounts will automatically start at the time specified.” Developers can book weeklong or custom sales up to two months ahead of time, and custom sales can run for up to two weeks. For now, consider putting your wallet in the freezer. For your own sake.